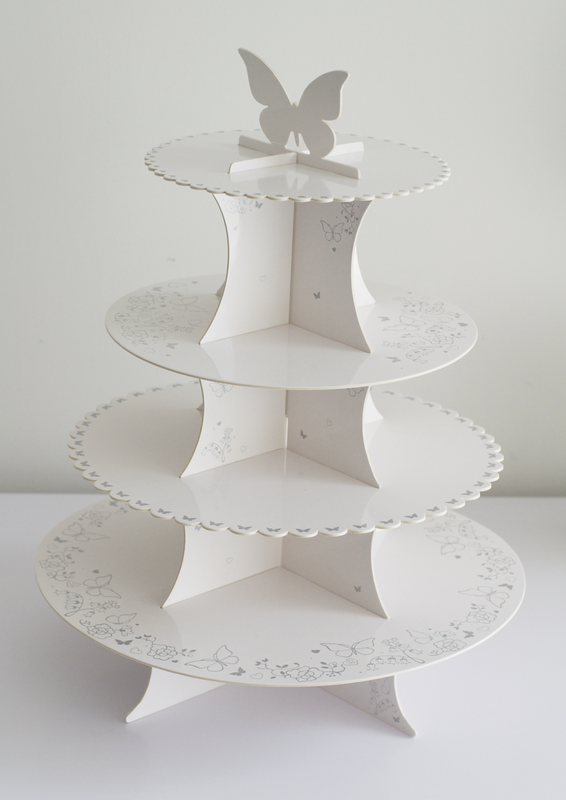 I was recently sent this beautiful 4-tier butterfly cupcake stand from SimplyBridal.com The stand comes flat packed and is really easy to assemble. 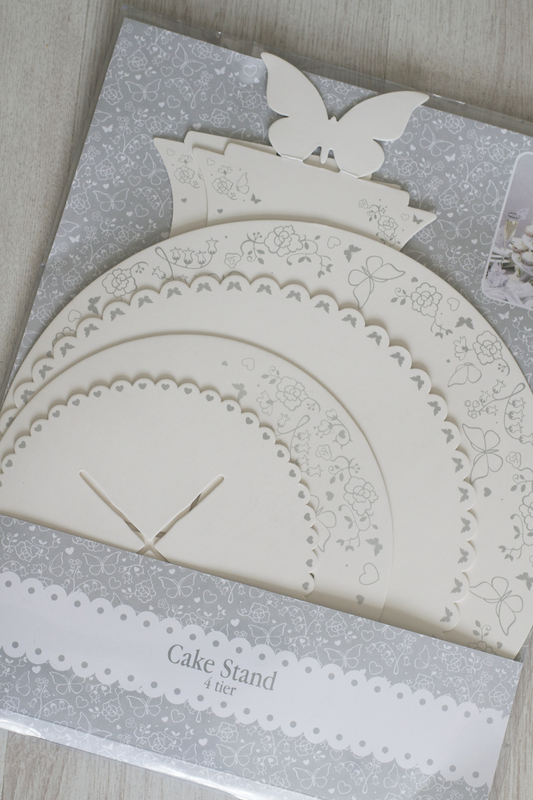 Each piece slots together to create a tiered stand that would be pefect for wedding cupcakes! 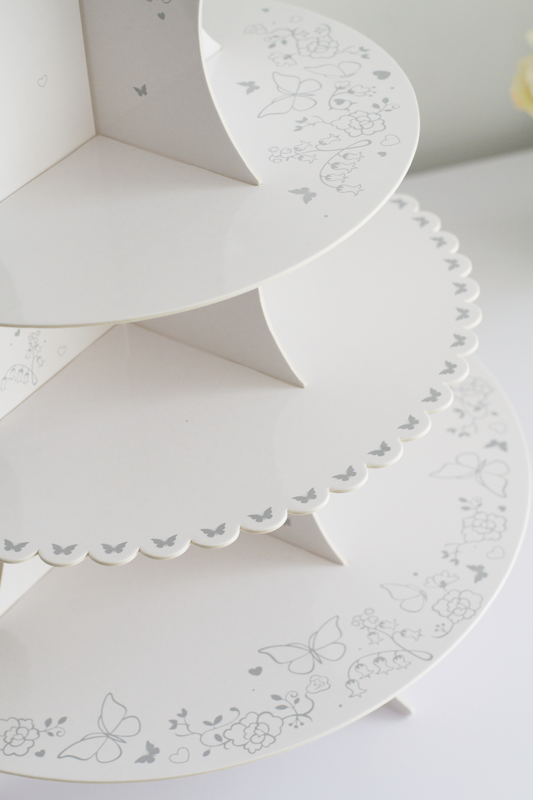 The stand has butterfly detail on each of the tiers with a larger feature butterfly at the top. Alternatively the tiers can be reversed to create plain tiers. 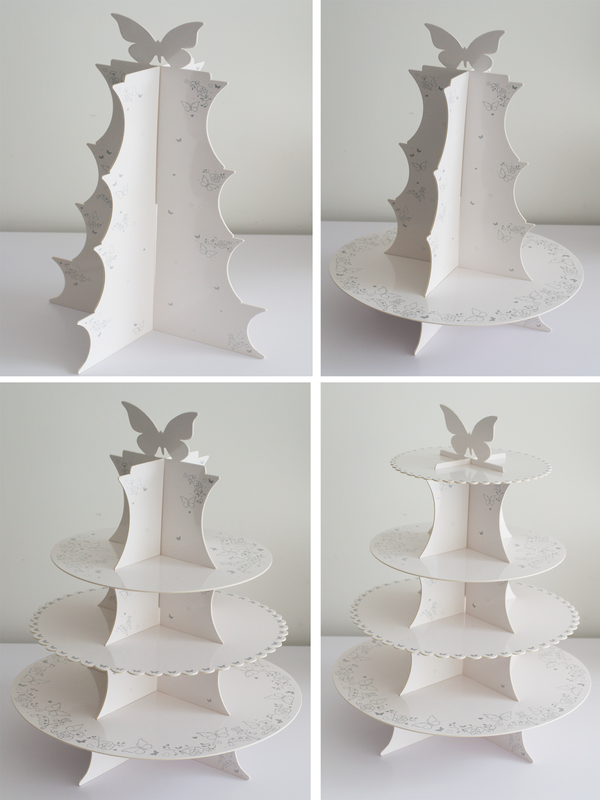 This stand would work well as part of a butterfly themed wedding, filled with lots of pretty butterfly cupcakes. I'm looking forward to displaying some wedding cupcakes on this stand soon! The stand is available to purchase on SimplyBridal.com along with lots of other lovely wedding decorations and cake toppers.